Recently real estate in Thailand has become increasingly popular among buyers looking for profitable long-term investment instruments and those for whom this warm country has become a favorite holiday destination. Both of them can easily find here what they need, not only because of the huge number of offers, but also due to more affordable prices of housing and commercial facilities. The process of buying real estate here is quite simple, without any strict requirements and restrictions for foreigners. Buying real estate in Thailand - on the sea or in the city? The real estate market in Thailand is very diverse. Thanks to an active new construction in the capital Bangkok, famous Thai resorts and in other large, not less popular tourist cities, you can become an owner of new housing and at the same time to save a lot of money. Local laws do not prohibit the foreigners to take part in co-ops. Moreover, you can buy a private house under construction on the sea or an apartment in a luxurious new condominium from the builder in the heart of the capital! 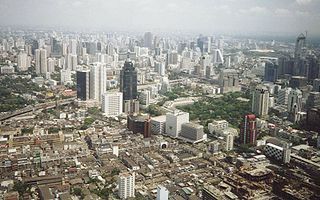 Yes, there is no shortage of real estate and sites suitable for a new construction in Bangkok! Although the process of buying property in Thailand is quite simple, local legislation still has a number of special requirements for foreigners. They are not allowed to own land in the country. However, this requirement is easy to be circumvented. If you register a company in the territory of Thailand you may not only to buy a land, but also to build a house on it. On the other side the possession of a company could be your first step to move to a permanent residence in economically developing country, which already splurges with a high standard of living. Not everyone knows that in Thailand there is a special "pension" program. Many foreign home buyers have already used it. This is the opportunity to get a retirement visa - a kind of a residence permit for people over fifty years. Moreover, they may even not be actual pensioners in their home country. Who knows, maybe Thailand will become the main place of residence for you too – a house by the sea here is not much more expensive, and even cheaper than in Europe.